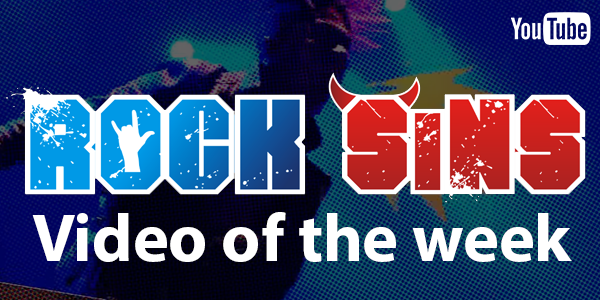 Video Of The Week (18th March) – Bumper Edition with Bury Tomorrow, Devin Townsend, Employed To Serve and much more! Following our last contest where Gloo came out on top, it’s been a few weeks so we thought we’d treat everyone to a bumper edition of video of the week! Kicking things off in style this time are our old friends Bury Tomorrow, with the latest single from their hugely successful album Black Flame. The video for My Revenge was filmed on their last UK, and we’re very much looking forward to the next one already. Returning with a bang, Employed To Serve have recently dropped the first single from their upcoming album Eternal Forward Motion. The single is Harsh Truth, and is a quick reminder of why so many adored the first Employed To Serve album, The Warmth Of A Dying Sun, so much. The video has much in common with the While She Sleeps video for So What?, and musically its heavy enough to take out a tank. Welcome back Employed To Serve! Recently, Devin Townsend dropped the video for Genesis, the first single from his upcoming eagerly awaited album Empath. It was possibly the most batshit video we’ve ever seen (in a good way). He’s kept up the creativity in the video for the album’s second single Evermore with everything from astronaut cats to whales and one hell of a journey through space. Just watch it, words cannot do it justice. Next up are Coventry metal quartet Scream Blue Murder, who are getting set to release their brand new album Rock Bottom next month. Bury Me is the second single from that album, and the video is a well put together performance video for a single that has some great riffs and a huge chorus. Returning with their first new music for a couple of years are another homegrown outfit, Of Allies. The Yorkshire rockers are back with brand new single Blossoms, and the accompanying video is certainly a colourful one. There’s also some Phantom Of The Opera-esque masks at work. Need we saw more? Sticking with the homegrown talent again, London metallers Harbinger have recently announced their debut full length album Compelled To Suffer following a couple of highly successful EP’s. The first single from the upcoming album is The Awakening, which is a brutal assault on the senses with a melting pot of harsha vocals, lightning riffs and drums that sound like a thunderstorm. The video is very simple, but effective, showing exactly what Harbinger are all about. Last but certainly not least, Myrath have launched the glorious No Holding Back from their upcoming album Shehili. With a video that feels a touch Pirates Of The Carribean (mythical landscapes, voyages on the high seas, undead crew), they have crafted an excellent slice of Euro power metal. One for those who love the likes of Kamelot and Blind Guardian. With these seven great tracks to choose from, we suggest you get voting. The contest closes at 12pm Midday UK time on Monday 25th March. Let battle commence!